Premiering exclusively on the Horror infused VOD platform SHUDDER, is a short film entitled THE HOME. This monstrous mini addition to the genre comes courtesy of director and co writer L. Gustavo Cooper. Previously, in 2016, Cooper brought us the ‘coming of rage’ feature JUNE, which he co wrote with Sharon Y. Cobb. This time around, teamed up with writer Peter Cilella, he presents a dark and mysterious tale. Cooper is a fantastic storyteller, and really has a grasp on his techniques, especially in his short film entries. THE HOME seems to just strengthen this humble opinion of mine. It opens with a cold Winter storm pounding on a large, isolated structure deep in the forest at night. The wind is howling outside as a group of pregnant young women, including the marvelous Alex Essoe (Starry Eyes) is comforted by a member of the clergy. The Priest (Andy McPhee) reassures the visibly frightened and fragile ladies, that there is nothing to fear. Unfortunately for them all, he is dead wrong. The cinematography work, the feel of THE HOME is dark and unforgiving. The monstrous entities prowling and hunting the women lend plenty of uneasiness to the very short production, which left me wanting more, but it most definitely is an effective short. Hopefully, we get to see some more of Cooper’s talents this year on other projects. 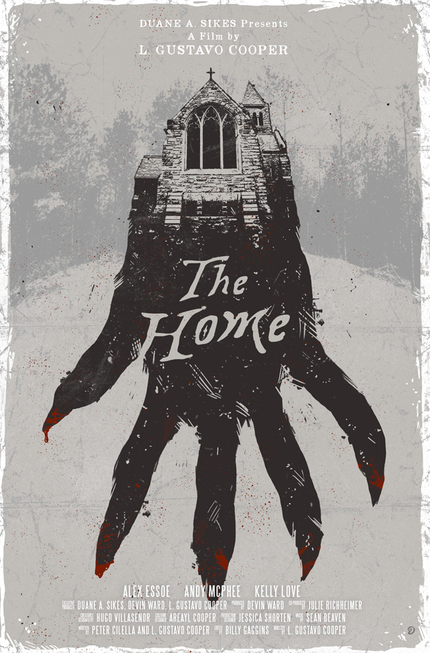 Check out the THE HOME for yourself to find out what is lurking on their religious grounds, and help support Indie Horror. SHUDDER is a subscription-based video service similar to Netflix, but one that is entirely devoted to horror offerings. It’s available via desktop, iOS and Android devices, Roku players and Roku tv models. You can also now watch Shudder on XBOX and Playstation through the VRV app. Subscription fees are $4.99 monthly and $49.99 for a year of SHUDDER, but 14-day free trial memberships are now available for a limited time. 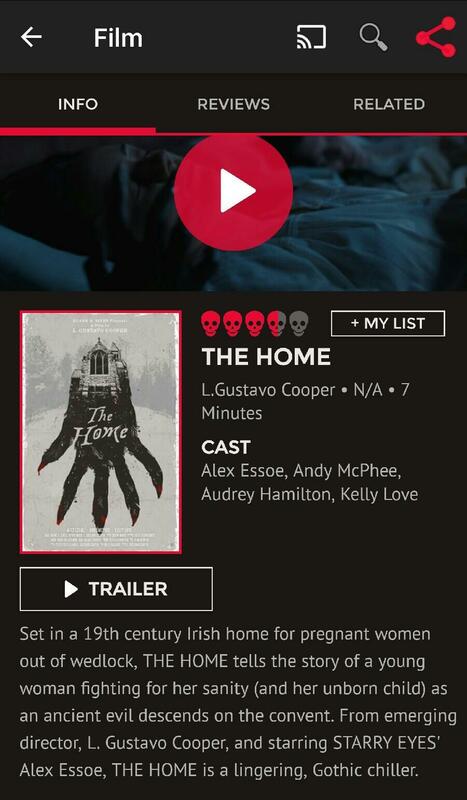 iOS users can download SHUDDER from the Apple App Store, and Android users can download SHUDDER from the Google Play Store. Roku customers can visit the Roku Channel Store to add the SHUDDER channel to their Roku player or Roku TV model. Visit www.shudder.com to sign up and for more information on the service and its offerings.